So, we’re still playing a bit of catch up – here’s our last October wedding! Rachel and Waylon were married at the quaint and colorful Springfield Women’s Club on a beautiful autumn day. Surrounded by close friends and family, Rachel and Waylon said I do and became husband and wife! 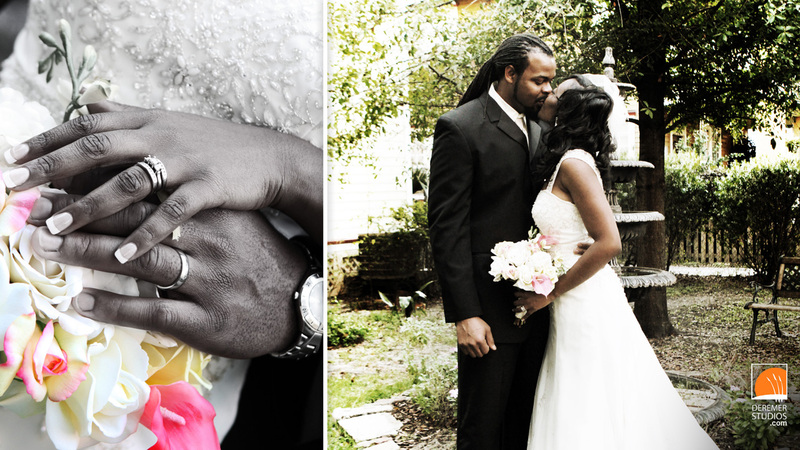 Even though we’ve shot almost 400 weddings, the idea of two becoming one is always exciting! Enjoy the photos! 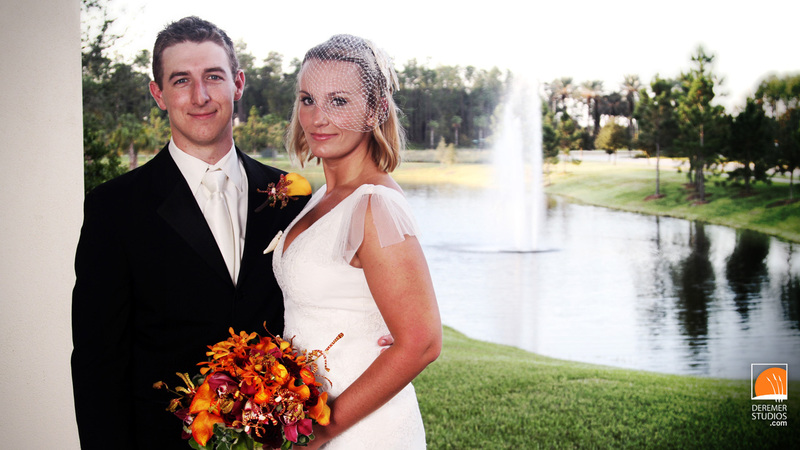 This past weekend, we had the privileged of shooting Kate and JP’s wedding down in Nocatee. Though the temperatures weren’t all that cool, the fall theme brought a reminder of the coolness of Autumn. Is it too cliche to say love was in the air? BTW – check out the detail photo of Kate’s bouquet – the flowers were amazing! To Top it off, DJ Steadman did another wonderful job providing the entertainment for the evening. We hope you enjoy this sneak peek! 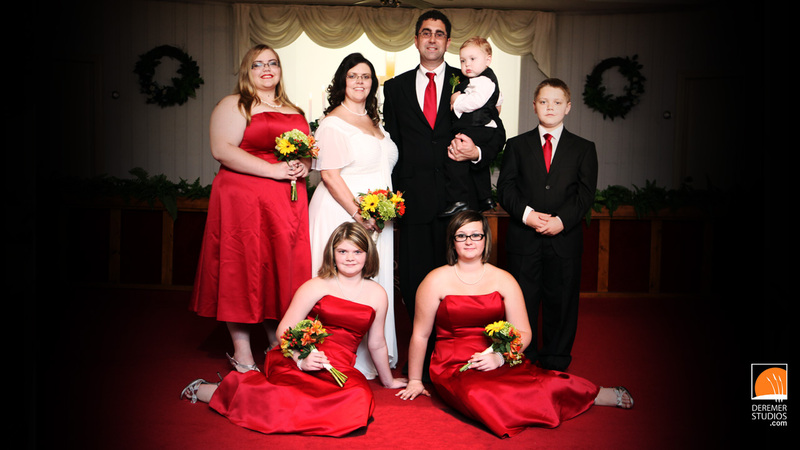 Melissa & Jeff’s Awesome Family Wedding! 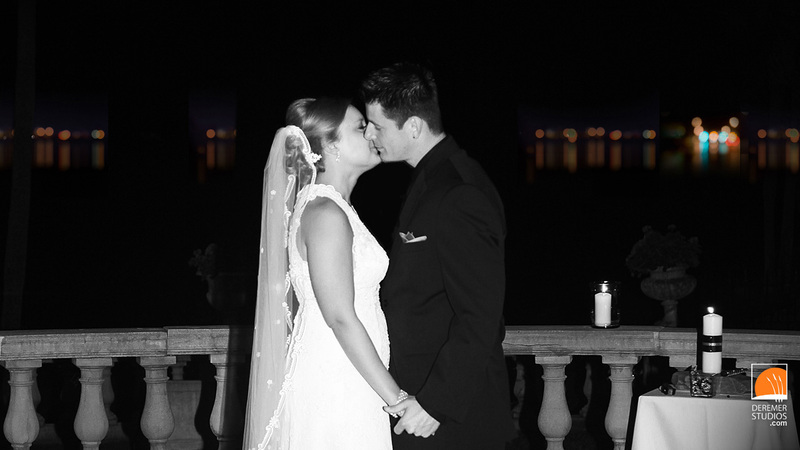 Last weekend we had the pleasure of shooting Melissa and Jeff’s wedding. Above all else, what made their wedding unique was the level at which they included their children – something I thought was pretty awesome. the whole family was in the wedding – the girls were all bridesmaids, the oldest son walked his mom down the aisle – it was pretty cool. 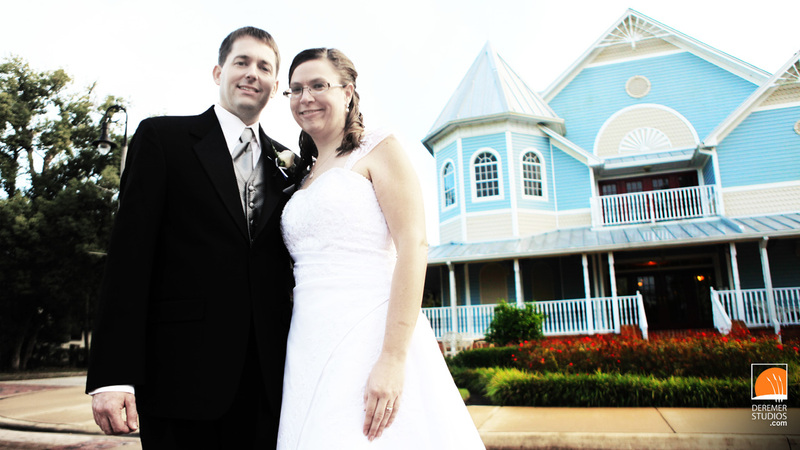 On top of that, they had a Disney-themed wedding with a fanciful touch that made for wonderful photos. I hope you enjoy the sneak peak! 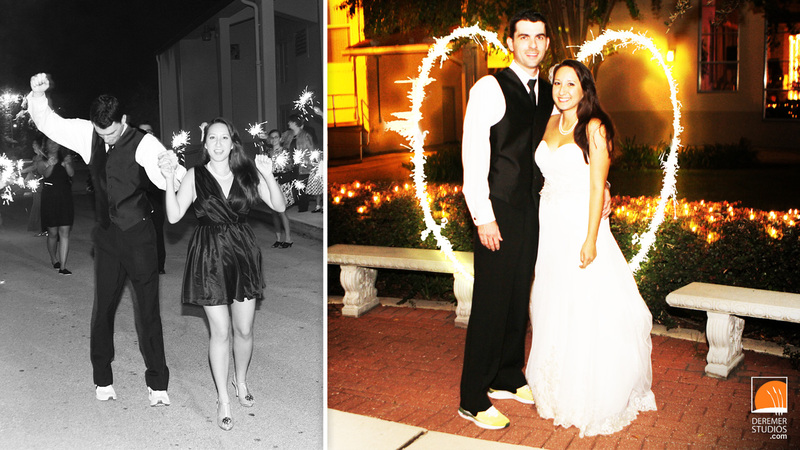 David & Sara’s Sparkling Wedding! Last weekend we had the pleasure of shooting David and Sara’s very special day! Their wedding and reception were both held at Assumption Catholic Church – a great location that combines great architecture and a warm and welcoming atmosphere. One of the highlights of the night was the sparklers sendoff – we got a chance to do some light painting with the bride and groom too! Enjoy the photos!